Our practice philosophy is that patients are neighbors, friends, and family first. Our everyday dealings with the individuals who walk through our door is to serve each one as a person; dentistry is just one of the ways we do that. Every person is unique and worth knowing, and many are hurting in more ways than dentally. We want to support our patients in as many ways as we are able and qualified. Because we practice what we preach and back that up with real talent and training with all of our staff, the combination is something special. Working in an environment that promotes relationship between our staff and the people for whom they care is so much more rewarding than the typical business. Most importantly we believe the result is much more rewarding for our patients than getting quality dental care alone. Click on a team member for more info. Dr. Solera and staff are terrific. When I lived in Bella Vista he was the only dentist I used. Very thorough and pleasant. Office staff is the best. Relaxing environment and great cookies and cwaffee. Come and practice in San Diego. From the moment I stepped into the Solera Dental Spa, I knew this would be a different dental experience entirely. For the first time in my life, I experienced a pain-free root canal. I am so grateful to have discovered at the Solera Dental Spa in Bella Vista! The experience was so much better than I could have ever expected. You could look far and wide and not find a dentist office such as Solera Dental. I encourage everyone to use Solera Dental. It is an awesome place. They were great!! Very nice people and are willing to work with you. I will be coming back. I have been to many dentists and could have never before given this kind of review as I was always a nervous just thinking about going to the dentist. BUT, that is no longer the case in my life thanks to Solera Dental. I would highly recommend Solera Dental to anyone looking for a good dentist and staff. Amazing! Couldn't ask for a better dentist. I have a huge phobia and they made me very comfortable and [also] have a massage therapist on site. I love Solera Dental Spa! Everyone is very patient and super nice. Every time I visit, I am treated like family and made very comfortable. Dr. Solera is a great dentist that has been very patient with my many little hang ups. It is a beautiful place to spend time in with a great massage therapist on staff to make you feel relaxed. 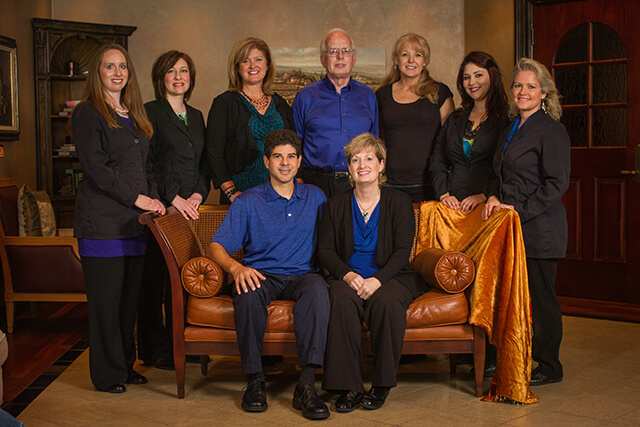 Dr. Solera and his staff provide excellent dental care for our entire family. Their attention to detail and level of service is incredible. They truly reflect a servant's heart as they meet the needs of our family and invest in the NWA community. I've been going to the Solera Dental Spa for almost 4 yr now. I've had a lot of bad experiences in the past with dental offices and Dr. Solera put me as ease immediately. The customer care you experience at this place is top notch. They make you feel comfortable and you don't feel like they are trying to reach a cavity quota. Who knew a teeth cleaning could actually be pleasant???? I was amazed... made me wonder about the dental services I was receiving previously. I would totally recommend Dr. Solera to anyone of any age. He knows his stuff and I have become totally confident in his services and recommendations for my dental health. A wonderful staff of friendly people and an excellent dentist. I called the office for an emergency appointment today. I was scheduled, seen, diagnosed and referred to an Endodontist. Elapsed time was less than 30 minutes. From the first phone call to initial visit, diagnostic imaging followed by pain relief was less than 30 minutes. As a healthcare worker with the highest standards as par for the course, Solara Dental is an Eagle. From the front desk professionals to the dental crew behind the scenes, they are a well oiled machine and it did not go unnoticed. I was treated as family (first visit) from the second I walked in the door. The staff works together flawlessly and anyone would be hard-pressed to find that service anywhere else. As a single Dad, I will bring my daughter here for the care, respect and treatment from an exemplary staff of medical professionals. From one parent to another, I would highly recommend making the Solara Team your families provider of dental care. Dr. Solera explains everything so well, showing you your x-rays, etc. Patients are offered a very relaxing massage while dental procedures are being completed. We are both very pleased with our decision to go to Dr. Solera and highly recommend his practice to all. I have been seeing the dentist for 2 years. I love his staff and they are awesome. They have a masseuse on staff that will massage you while you are getting your teeth done. They have warm chocolate chip cookies available. They know exactly who I am as well as the rest of my family. The dentist is very down to earth, knowledgeable and trustworthy. It is very easy to schedule when I need to be seen. My family loves Dr. Solera! My three year old loves going to see Dr. Solera. He can't wait to see the dentist!